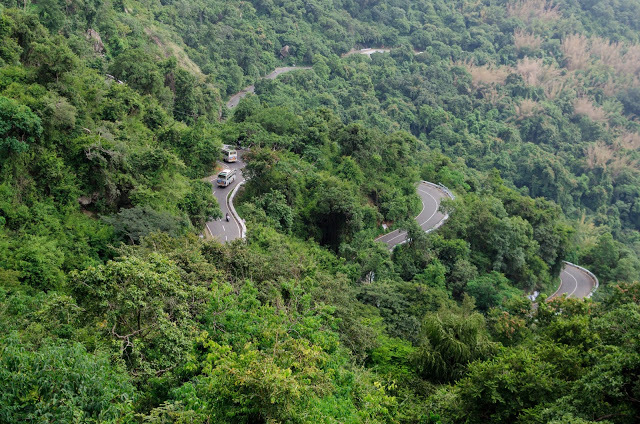 Belum Caves has a length of 3229 metres, making it the second largest natural caves in Indian Subcontinent. Belum caves was formed by the perpetual underground flow of chitravathi river. It’s located in Kurnool district of Andhra Pradesh. I had visited few caves in around but belum caves is amusing experience, which was explored by Robert bruce foote in 1884 and Thanks to AP tourism for maintaining very attractively. After which it was unnoticed till 1982 until german team headed by Herbert Daniel Gabauer conducted detail exploration of the caves in 1980’s. Belum Caves gets its name from the Sanskrit word ‘Bilum’ which means ‘cave’. There are three big sinkholes in the cave complex, one of which has been converted into the main entrance. These natural caves are located in the midst of flat agricultural land in the limestone area close to ‘Kolimigundla’ village, in Kurnool district. Though the total explored length of the cave complex is around 3.5km, around 1.5 kms is open to the public. There are still several passages that are yet to be explored and cleared of remains, though the guides will carry torches and most of the main passages are well-lit. There is also an underground stream and a mini waterfall deep inside the caves, called ‘Patala Ganga’. Not sure if siva linga is carved or formed. To reach Patala Ganga There are several pillar formation, several passages that are too narrow to be opened to the public and you can only look into them and wonder what lies around and ahead. Lots of interpretations ‘Koti lingalu’, ’1000 hoods’, ‘Simha-dwaram’ etc. There are still quite a few passages yet to be explored and they have been barred for the public.Existence of Buddhists also found here. What to carry inside caves: Water only, torch not required. Guide: Will be available with free of cost. If possible please pay some random amount. Where to stay: APTDC Haritha Hotel (Dormitory per person Rs.60, 21 bed capacity) or tadipathri. To Eat: APTDC Haritha Hotel limited menu, a shop near ticket counter. 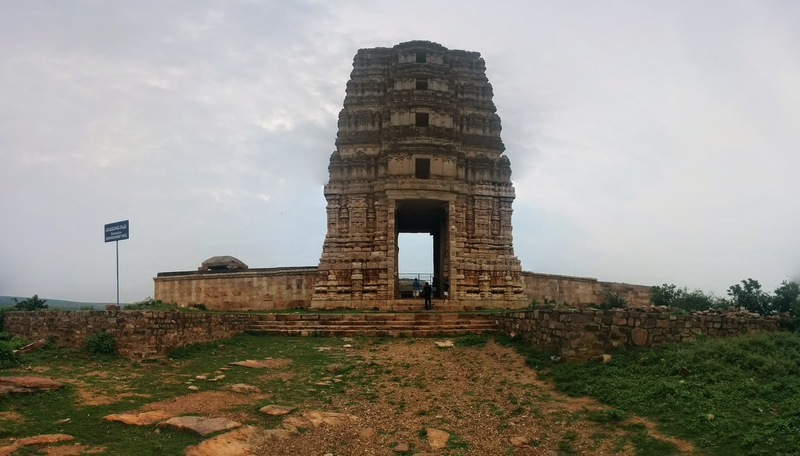 How we reached: Bangalore –Gandikota—Belum Caves. Gandikota - "Grand Canyon of India"
Gandikota fort was built in 13th century AD. 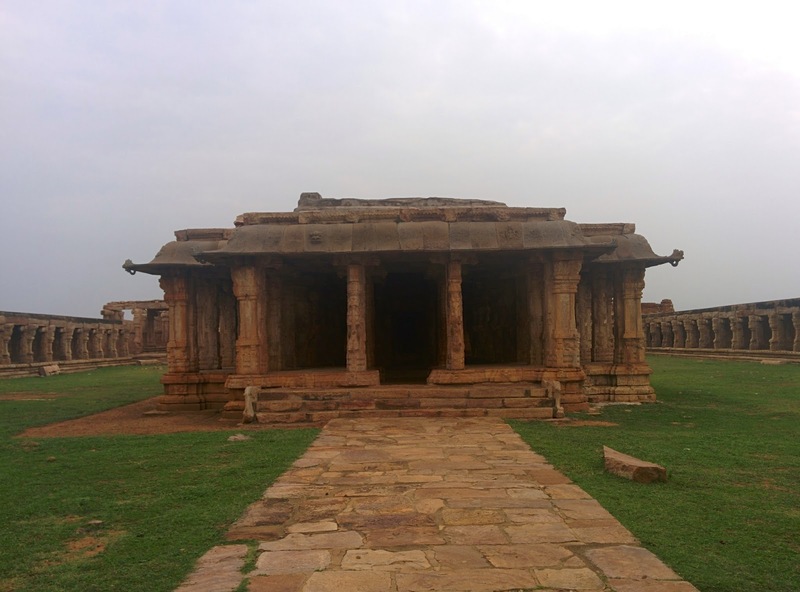 It was founded in 1123 by Kapa Raja of nearby Bommanapalle village and a subordinate of Ahavamalla Someswara I, the Western Chalukyan king of Kalyana. The fort was made more impregnable by Pemmasani Thimma Nayudu.The fort was under the control of Pemmasani Nayaks for over 300 years. The fort of Gandikota acquired its name due to the 'gorge' (in Telugu it is called 'gandi'), formed between the Erramala range of hills, also known as Gandikota hills reducing its width to a mere 300 ft. It’s called “Grand Canyon of India”. Fort is surrounded by treacherous hills, deep valley and massive boulders of red stones. It’s natural defense for the fort. It has its own history during Kakatiya, Vijayanagara and Qutub Shahi periods. Its implausible architecture of temples, masjid waves many travelers every year. An eye catching beauty of canyon with pennar river flowing. Now the fort is under archeological department but maintenance of the splendid architecture is thumps down. 1. Can stay inside jama masjid or outside granary with tents, But since it is under archeological department it may be offense, but still people stay. 2. APTDC Haritha resort is good place to stay.10 double rooms and 3 dormitories of 8 each capacity.Rooms are clean with attached bathroom facility. 1. APTDC Haritha resort is not expensive. Its veg & Egg restaurant,No drinks served. 2. A small shop near fort entrance where we can find eatables and soft drinks. Checkout what it is !! Truly unexplored place, away from hustle bustle city life .Fully covered with greenery all around good & hills, a good half day out with buddies.Villagers say that during shivarathri festival the hill will be with full of devotees,Rest of the time there will not be none. There are few rooms at the top but nobody was there.No idea why the rooms are there. There is no temple at the top,only nandi at the top. How to Reach : Bangalore --> Kanakapura--> Achhalu village--> Muneshwara Betta Temple Base. Time to Reach peak from Base : 1-2 Hrs. Carry : Water and if required food. Route: After kanakapura keep going about 10km, ask anyone there for achhalu village.Mark a hill with Nandi statue at the top. "All journeys have secret destinations of which the traveler is unaware- Martin Buber"